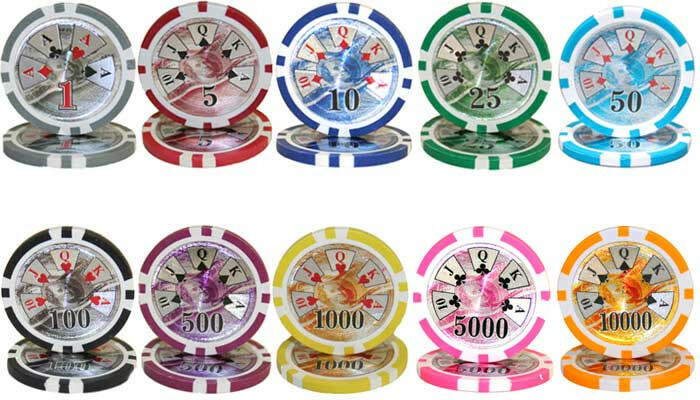 Stop playing with pennies and get yourself a professional quality poker chip set. 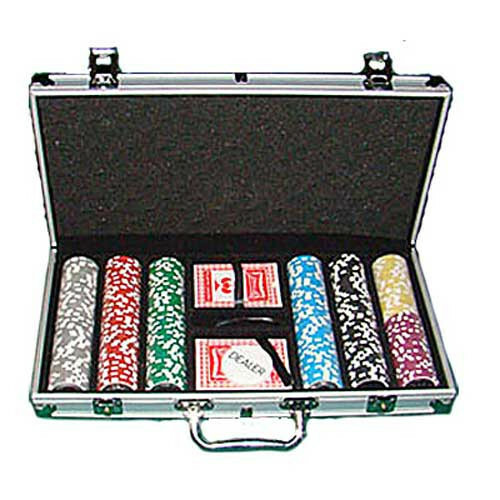 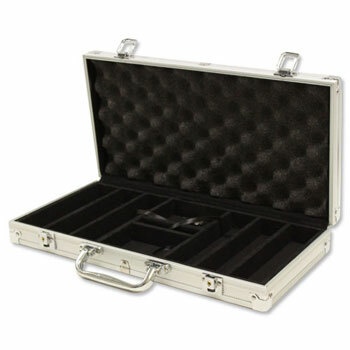 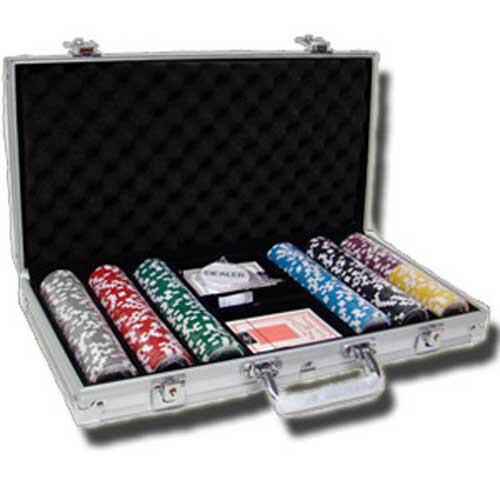 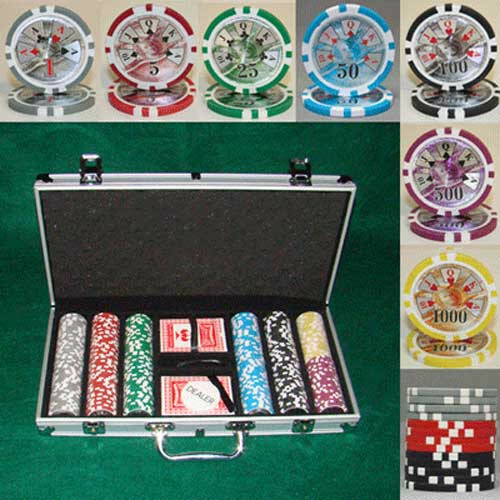 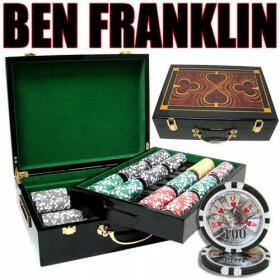 This set includes 300 Ben Franklin poker chips in an aluminum storage case and comes with 2 decks of playing cards, 5 dice and a free dealer button to get the action started. 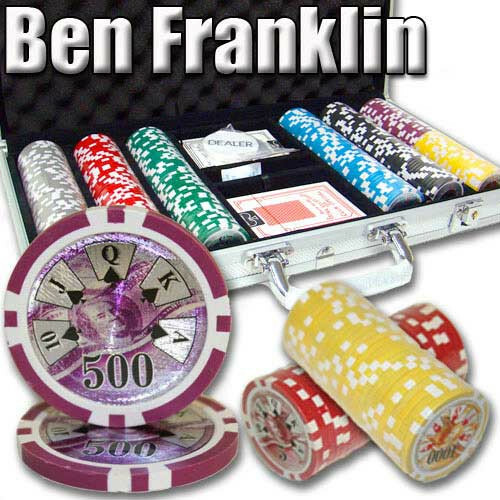 300 Ben Franklin poker chips, 2 decks of playing cards, 5 dice and a free dealer button. 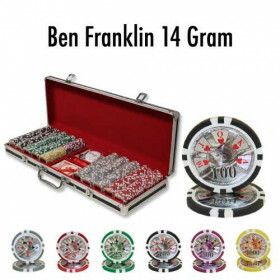 If you are looking for a high quality poker chip set at a great price, you need to look at the Ben Franklin poker chip series. 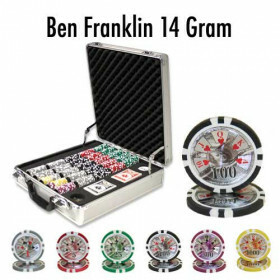 These chips are made out of a casino quality clay composite material and weigh in at 14 grams for that solid feel that players love. 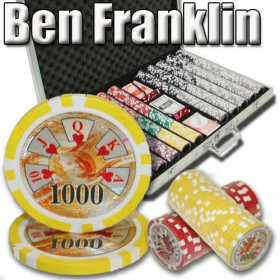 The laser graphic design features an image of a $100 bill with Ben Franklin's portrait in the center and a Royal Flush spread around the chip. 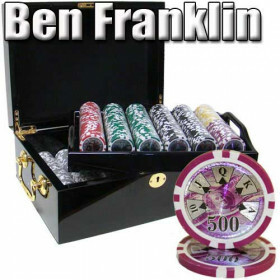 The denomination is placed just below the portrait. 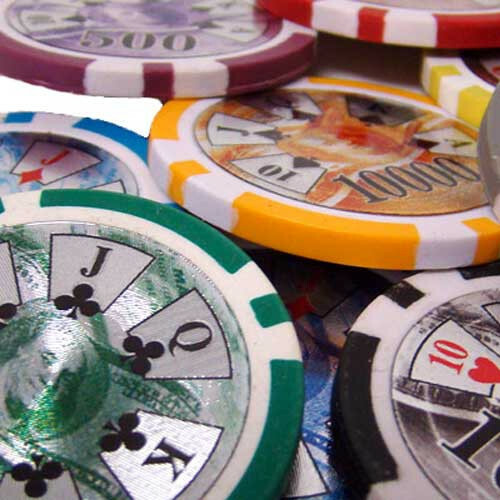 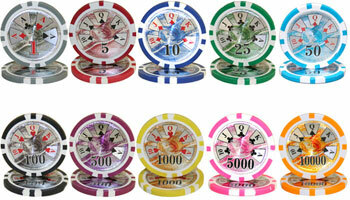 These chips shine and look great, plus they feel and play just like real casino poker chips. 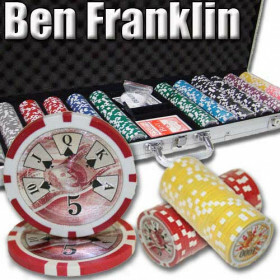 Bring the Excitement of Vegas to Your Poker Game With These Ben Franklin Poker Chips!